If you never built a hackintosh check out our list of compatible parts or the build list for hackintosh friendly parts. This High Sierra guide is compatible with the latest hardware from Coffee Lake all the way back to Ivy Bridge CPU’s. Right now this is just a Desktop guide I’ll be experimenting on laptops in the future and update this guide or create another when that happens. This is a full install guide that will walk you through clean installing High Sierra on a custom PC. It’ been made easy into a copy paste guide. This means that the initial configuring that’s required to get macOS up and running have already been preconfigured. There may be some post-install changes that need to made after macOS is installed. Now that the High Sierra image is on a GUID formatted flash drive the EFI partition of that drive needs to have a modified folder called EFI added to it. The EFI folder contains the hackintosh files necessary to boot macOS on third party hardware using Clover Bootloader. These mini steps need to only be followed if each condition applies. It’s recommended that you do the initial install using integrated graphics for a problem free install, however I’ve been able to install High Sierra using my RX 560. The changes will be made to the EFI folder you just pasted onto your flash drive in Step 2. The default config.plist is configured for a Coffee Lake or Kaby Lake CPU. If you are using an older Skylake, Haswell or Ivy Bridge CPU then you will may need to make changes to the SMBIOS section located in config.plist in order to boot macOS by mimicking the properties of an older Mac. Skip this step only if using a Coffee Lake or Kaby Lake CPU. If you are using a Pentium processor such as the G4560/G3258 you will in addition to following this step will need a Nvidia/AMD graphics card to run your hackintosh as the integrated iGPU on Pentium CPU’s are not currently supported on Hackintoshes. MSI motherboards may require this step in order to boot macOS. If you are not using an MSI motherboard please skip this step and move to Step 4. A checkbox needs to be set in your config.plist in order to prevent the computer from restarting instead of properly shutting down. Follow this step only if you have a Gigabyte or ASUS motherboard otherwise move on to Step 4. Restart your computer and press the DEL key or required key to enter BIOS when computer posts splash screen. Recommendation: Check out the builds section and find a motherboard by the same manufacturer as you have. Then scroll down to it’s BIOS settings to find the exact location of each setting that needs to be changed if your having trouble. Note: Most people like to install new versions of macOS using integrated graphics. Since I included the files for AMD cards you may be able to install macOS like I did with the card plugged in. Some people may have trouble installing High Sierra with a Nvidia card plugged in. If you have one you may want to use integrated graphics and go back to the BIOS settings and configure for an iGPU. Now that you have macOS up and running you should also be able to access the internet since the included Ethernet kexts are already in EFI/Clover/kexts/Other However you may want to delete the ones you don’t need as I included them all. If you don’t want your hackintosh turning on in the middle of the night you need to disable two settings. It’s very important that you uncheck “Enabled Power Nap” and ‘Wake for Ethernet network access” so that your computer will wake properly from sleep and wont turn on the middle of the night. If using a compatible graphics card then you will need to install the fixes to get hardware detection and acceleration. 343 Comments on "Guide to fresh installing macOS High Sierra on a Hackintosh (10.13 Update)"
With gtx1070 ui was kinda choppy (with latest web drivers), espessialy the browser and tabs would open kinda slow. Good thing I had amd rx570. Plugged that baby in and everything is smooth and snappy without the need of downloading additional drivers. mother board: asus z170-a atx. That’s a Mac thing and even iMac’s are quiet you’ll have to use an app like Boom 2 to raise the volume. Also the ALC892 audio chipset is much quieter than the ALC1150/ALC1220 I’ve noticed on macOS even at max volume it’s not enough. I found a solution : I upgraded the bios to 2.30, add a fakeId on the CPU and on the iGPU. I can run the osx installer till the macos utility windows. My NVME is not recognized (samsung 960 evo). The install is nearly finish and I will test my devices. I have the same problem (no Sasumg 960 EVO showing) have tried the above but no joy at all yet 🙁 Strange as others say it works OOB. Working now. In the end I had to enable as PCIE for M.2 in BIOS instead of Auto or SATA. Still didn’t show so installed to a normal SSD instead. Then upon booting it said inserted drive not initialized. Initialized and formatted in MacOS then rebooted and there she was. No IONVMeFamily.kext required at all. Only thing not working 100% is Bluetooth. It shows but no devices show up or seen by other BT devices. ‘Turn Bluetooth Off”is grayed out. Any update on high Sierra working on the B75M-ITX with a 3rd gen i5? I plugged my external display (samsung p2450) through HDMI and It seems that it is not detected by OSX. When I go to System > Preferences, I have unknown display and a low resolution (1280×1024). I cannot set higher resolutions. Any idea ? Awesome guide it worked better than you Sierra install. However, when I update the web drivers for Nvidia it boots to a black screen. I also had a problem with Nvidia drivers. I got a warning message during the installation, then I got stuck on boot. The solution I find in the internet (worked for me): open clover configurator, goto Rt Variables, change CsrActiveConfig value from 0x67 to 0x0, reboot, install Nvidia drivers, reboot, then put CsrActiveConfig value back to 0x67, reboot. Thanks bro! Install worked like a charm. Bonus, my continuity is working in high Sierra and now on NVME with APFS. Thanks, by changing CsrActiveConfig value from 0x67 to 0x0 I was able to install the web driver without an error message. However I’m still stuck on boot. After installing web driver and rebooting I’m starring at a black screen. How? When I boot my screen goes into standby. Is there a way I can change it back from outside the os? Are you still having this problem? I’m about to write a guide on the fix because a ton of people are having problem all over the Hackintosh community. Yes I’m still having the problem. Couldn’t change anything because the screen always goes into standby. Interesting fact: I also wasn’t able to install linux (kde neon and linux mint kde) due to the same problem. as soon as I boot from usb the monitor is going to standby. Maybe this has something to do with some bios settings? My specs: GT1080, i5 7600K, MSI B250 Krait Gaming. I’m using your bios settings from the MSI post. Today I tried to install macOS High Sierra from a bootable usb, but my pc froze during the booting process. I need help. Can you help me? Thanks for all those helpful guides. I’m planning on installing high sierra 10.13 or sierra 10.12.6 (will depend on your answer) with an intel pentium G4600 which is equal to an i3-7100 since both cpus are kaby lake 2 cores 4 threads and use hd630 gpu, do i need to use fakecpuid to boot the install since kaby lake is now fully supported on high sierra and sierra 10.12.6 ? FYI want to use igpu for now since hd630 is also fully supported. Hi, I’m building a hackintosh for the very first time. I’ve already bought the Gigabyte GA-Z270M-D3H (it was the only board from your build list available here in Brazil) to follow your specific guide for this board. I should go by that guide just using this new High Sierra USB? Or should I follow this one here? Thanks! As soon the parts arrive here, I’ll try and post the result here. I get a prohibited sign before reaching the installer. when lunching the install with a i3 7100. I setup but I have a caution sign halfway during install (round circle with line through it). Using the Sky lake config. To do with Bluetooth USB Host Controller@14d3000 etc..? Did you find any solutions? I had the same problem. handoff this is to do with the compatible wifi/ bluethooth card I can live without that but the function that I really miss is mirroring. The icon in the right corner sometimes comes out or flickers but overall the mirroring is not working. However, it does work via itunes. Could anyone shed some light on this pls ? Okay i will try another older usb. The wifi speed is playing up. After a restart the speed is normal but with time it drops. I am using the same card as in Sierra but I did not have this problem before…Hackintosher any thoughts on that? Mine is a Skylake build.No problem with the install but the system doesn’t turn off for some reason and is stuck on black screen. Thanks for the amazing guides! Going to try a fresh install of 10.13. Since I have a GA-z270mx (RX560, 7600k), should I be using that specific EFI you created, or the 10.13 one in this guide (and edit FixShutdown)? Any news on Coffee Lake compatibility? It should work with CPUID spoof and FAKEPCIID.kext I’ll post some builds on them later. 2. Facetime (which camera do I need for that)? 3. Bluetooth to connect with Apple TV, Magic Keyboard and Mouse? 4. Do you think I should wait for Coffee Lake CPU to be released before installing High Sierra from scratch or is 7700K good enough? My needs are running basic tasks on Mac but installing Parallels to run windows simultaneously. I am a trader so need Mac and Windows together. 5. I don’t need wifi, as I will use the ethernet adapter on the motherboard instead. Are there any issue that are pending in terms of hardware working? Also, will “handsoff” feature be working too? I don’t know if Hackintosher will reply but for each of his builds he does mention what works and what does not! With my specs (see below) everything works like a charm! FaceTime, iMessage work with his config file and EFI. My board does not support Bluetooth so I will add it. Thank you! With the Video and Audio guides everything is working! Thank you. What bluetooth card do you recommend? Are you happy with your Hackintosh? I am seriously thinking of building one instead of buying an imac. I used this. Worked OBO. Black Apple BCM943602CS Gigabit wireless card 4.1 Bluetooth AC dual-band PCI-E BCM94360CD. Installer crashes before getting to installing phase – kernel panic. No amount of FakeCPUID / kexts etc etc seems to make any difference – always crashes at the same point. Hmm I’ve seen that before. Are you installing with the iGPU? Yes I was installing with iGPU. My system is MSI Z370M + 8700k CPU installing onto NVME 960 EVO. 3) SMBIOS CHANGES – this was the big thing stopping me from getting a booting installer / system. Leave the following items BLANK in your clover config. Once I did this, the installer booted and install went through fine. I can also confirm No NVME drivers/patches (Pike Patches) are required for 10.13 installation / booting – seems to be a lot of confusion about this online. I did not require patches at all – where my 10.12.4 installation did. This all booted installed and booted fine. HOWEVER I could not get iGPU to work properly. It was 1280×1024, 5mb ram. I was looking at some guides by RehabMan to get the correct drivers to inject – but it just wouldn’t go. So this config may still be incorrect – but it at least got a booting system. I then installed Nvidia as per the hackaintosher “proper” nvidia guide, and plugged in the external GPU, booted and all is well. But if you ONLY have iGPU, this SMBios might not be completely the right way to do it. Correction. NVME drivers are NOT required for 10.13. That was a typo. Thank You very much…Successful with the installation. I guess everything (USB, LAN, Nvidia and Audio) is running on GA-Z170N-Gaming 5. Only a little issue of “noticeable slow booting” (it took almost 5 mins to boot each time)…, although some of the unused kext files have been removed from kext/other. By the way, I accidentally skip the process to disable APFS Conversion…but everything seems to work fine so far, but the slow boot. The things needed for my works are working…once again…thanks for the well written guide. Thanks guys… does it make sense to wait for coffee lake and an updated build guide from hackintosher … it just get the 7700k.. my requirements are basic in Apple and heavy using parallels with windows on it.. but want to run through Apple OS as everything from notes to email are on Apple. Is it worth building a 7700k machine now? (SOLVED) z270x gaming 5 gtx 1080ti i7700 High Sierra APFS. Unintended restart after a long sleep can be fixed by disabling both Wake for network access and Power naps. My system can now stay in a sleep mode for as long as I want without crashing and it wakes up in two seconds. Kris, that’s awesome. I’m having trouble getting sleep to work. Any chance you can either point me to a tutorial or paste the relevant clover config that helped you? Cheers! I need to try this solution tonight. I’m having issues with sleep in fact where if i leave it for long, it seems to stay black screen and then reboots into clover. unfortunately the above solution didn’t help with me 🙁 my PC just tries to wake up on its own after I set it to sleep and then reboots. Possible Guide GA-Z270X-Gaming 5 + i7 7700k + GTX 1080ti + NVME Samsung? You are actually in the guide right now. I have the same rig and everything is working just fine in High Sierra APFS. Follow the instructions and you will be fine. You are actually in the guide right now. I have the same rig and everything is working just fine in High Sierra . Follow the instructions and you will be fine. Hey Mario, I have the same configuration. I have a problem when I create a USB stick with High Sierra. Clover did not recognize this stick at all. I do not know why. That’s why I do not have access to EFI. This guide is amazing, very detailed and easy to follow. I tried a lot of others before i found this and could never get it to work. When i finished everything just worked along with graphics and audio. Thank you very much sir! I cannot seem to get this to work on the ASROCK Fatal1ty Z270 Gaming board (I read your other post on that) with the 7700 CPU. Am I doing something completely stupid? It goes through the Apple logo loading process, gets to the end and just reboots back to the clover installer. I’ve tried all the BIOS settings you recommended (especially those in the original Sierra post) and I’ve tried the different BIOS versions as well – most recently with the 1.20. The reboot happens so fast, I’m not able to determine what it is unhappy with. Thanks in advance! Oh, and I was using the onboard graphics – as I assumed it would be easier to do that then add a graphics card later. How do I go about configuring the config file if my hardware is kinda old. I’m using ASRock Z77 Pro4 + i5-3570k + evga gtx 1080. I’ve made it work couple years ago with unibeast + multibeast, but I read that it’s not recommended anymore, better to install vanilla? You may need to change the SMBIOS to a more Ivy Bridge friendly system. Hi, thanks to this tutorial, i was able to built my hackintosh without any problem. it wasn’t necessary to setup the Sound card and the LAN, everything work from the begin. The only problem i have is the DVI connector do not work. I wanna see if anyone else have experience getting an azurewave bcm94352hmb wifi/bt4.0 working High Sierra hackintosh? i have followed guides on hackintosher.com, and i have a problem that installer doesn’t boot fully. Just Apple logo will appear for a moment, and after that is comming reboot. @Hackintosher any tips for update to macOS 10.13.1? Clover can’t seem to find the EFI partition on the bootable High Sierra USB drive I made, any suggestions? I am planning to install high Sierra on this configuration. Any idea, if I will run into any trouble? If you plan to use the iGPU for the 4k monitor I would instead use Sierra 10.12.6 as graphic acceleration is currently a issue with integrated graphics in High Sierra. Thanks. But overall, is this configuration fine? Will try tonight. First, will give it a shot with high sierra. If that doesn’t work, will try with sierra. Will update you once done. Thanks for the wonderful guide though. Worked like a charm. Installed High Sierra 10.13.1 with no issues. Even the 4K works fine. 4K works fine in High Sierra. Hi, any fix to the iGPU for 4K monitor yet. Sometimes, the screen goes flickering, which is annoying. Tired this guide to install High Sierra 10.13.1 on my above configuration. All worked like a charm. 4K is also working fine with iGPU. Thanks a lot for this wonderful guide. Just noticed that sound driver is not installed. Any idea how to fix this? Try the updated 10.13.1 EFI http://hackintosher.com/wp-content/uploads/2017/11/High-Sierra-10.13.1-17B48-EFI.zip I noticed that too. Sorry to sound stupid, but I am a bit new to this. How do I update the EFI? Do I just mount the EFI partition and replace the content. What will happen to all the other changes that I did to the EFI earlier? Update as in use a newer version of Clover EFI Bootloader or newer and is updating kexts? You just want to make sure you are using the same config.plist you can back it up somewhere. Thanks. Will give it a shot. Thanks. This has resolved the issue. One thing I noticed that sound over DisplayPort doesn’t work, but the speakers or headphones work fine. This is not a show stopper for me. I anyways have 10 years old Creative Labs 5.1 sound system tucked away in the store. Good time to put it to some good use. Thanks a lot for this smooth guide to hackintosh. Nice guide! Great website! All working! Thank you very much. I would really like to have a go at building a Hackintosh I have built a good number of PC’s so I think I have the skill – but I do not know anyone with a mac who can download the os and let me make the USB can anyone help ?? Thank you for this amazing guide!!! I followed your guide very carefully to the T. I had to look up a handful of things along the way (like Kaby Lake and Skylake) since I am not techy with hardware, plus I’m a Mac gal. It took 5 hours and it worked flawlessly! I transformed a very nice 1-year old PC to a fresh new iMac :):) Thank you!! Any chance you will be doing any Ryzen based guides? Yes, I already have a Ryzen build Ill work on the guide after I finish my upcoming Coffee Lake Build. Hi! I finally got my first hackintosh working with a mix of this guide and the GA-Z270M one. Your guides really helped a lot. I’m Very thankful for your amazing and detailed work here. But i think that my MSI RX 580 Armor 4GB (or other component) is not using all of it’s power. Just for testing, I’ve tried running some games that I saw running well on official macs with theoretically much less power than mine and it was very disappointing. I’ve just installed High Sierra with your EFI Folder and nothing more. There’s anything else necessary? I think I’m getting a similar problem.
. what happens is.. as soon as you login… and do a quick GEEKBENCH for example….. you get the full 144,000.. OPENCL score.. So for anyone running an ASUS HERO IX…RX580…. You’ll be able to boot and everything looks perfect. But after a while your OPENCL, and thus FCPX will get 1/3 of the performance. 2. Change the Allocated RAM to higher than 64… I sent it to 1024…. 3. And I set ig-platform-id to 0x59120003 in config.plist thru Clover …..
FYI for everyone experiencing same problems. I spent way too much time, but it works now! Yay! ….. I spoke too soon. OpenCL scores don’t drop…. for benchmarks.. but.. FCPX 10.3.4 is not crashing.. yay. Everything is running awesomely well now! I really owe you a beer! Is it possible to run Hackintosh on this laptop. What config file changes should I make for this? Hi, I have a processor i7 3820 and motherboard ASUS P9X79. Where can I find a config for my processor? I spent so many hours in Sierra and now in High Sierra my gigabyte RX 460 4gb finally worked! I have a problem with shutdown the system always reboots. I have used your efi folder and change the kabylake, and using the skylake config-plist. I have changed in clover the fix in shutdown to Yes. I have a GA-Z170X-G3 and a i5 6600k. 16 GB ram, and ssd. What should i do to solve this problem. Thank you for the tip, all is working now. It seems okay let´s see in the next weeks if some problem occurs. HEY Hackintosher, I’m Abhilash, And I have an ASUS motherboard and Radeon HD 5750. My processor is intel i5 7400 and When I installed MAC OS sierra 10.12.6, I had the colour flickering, I enabled graphics acceleration by injecting fake ID and framebuffer of HD 5770. So I switched to 10.12.3 and now everything works fine except the boot resolution, The boot menu and the boot loading screen are both out of resolution. I tried all alterations but I was unsuccessful. I’m using Clover UEFI bootloader. Please let me know of any solutions. Thanks for the guide. I have a NUC 5i5RYH (broadwell). Could you help me with an EFI folder for the same? Pls. can I get a guide for Aspire E15 E5-575G i5-7200U with m.2 500GB SSD, and nVIDIA 940MX? Sorry @Hackintosher i need help for active QuickSync in my hackintosh i7-700k. I use like primary my NVIDIA GTX 1070, i put Inject Intel and ig-plataform-id to 0x59120000 but in macxvideo in Hardware Info say to me that not have support. any help? Hey so this was a complete success thank you so much for the help! iv been at this for days and it finally worked. Al though I did need to unplug my GPU as it was the problem in not letting me install the software at first. I still haven’t installed it back in as I am planning on download the web drivers first. I am currently not able to connect my ethernet. Could you possibly help me with that? I don’t know why, It worked with my previous Sierra hackintosh. Place it in EFI/CLOVER/kexts/Other of your mounted EFI partition. I have a Pentium G4560 CPU and could either get a GTX 950 or an RX 460 for my GPU. I would much more preferre the RX card but I am afraid that I cannot install High Sierra 10.13.1, since in this guide it is mentioned that an NVIDIA card is mandatory. Currently I don’t have any GPU and could only afford to buy one. But in the later section of this guide you mention that it would be possible to disable iGPU in BIOS for the installation process. Would that mean that I could use my G4560 + RX 460 combo without the need of any NVIDIA card? – thanks! Nvidia is not mandatory can you quote the part where it says that so I can fix it to add more clarity? You can install High Sierra 10.13.1 with a RX 460, I have installed with a RX 560 no problem. In this part you have said you will need a Nvidia graphics card. I have G4560 and a RX470, Will it work? I have G4560 + RX 470 , how did it go ? Did you get your hackintosh working ? Hello, it’s the first time I build an Hackintosh. I have a MSI x79ma GD45 mobo with i7 3,60ghz. Could you help me to fix this? Your build worked perfectly have mac high sierra os running on ASUS Z170 Pro gaming i5-6600K AMD R9 Fury triple dis. Am using built in Intel graphics because mac drivers for AMD R9 Fury are not ready for prime time. Card seems to be, based on led’s on card running at full capacity? When using AMD card video is slow refresh and artifacts also occur. Have changed bios so CPU graphics only are used high sierra runs perfectly fast no artifacts. Concerned because led’s on AMD Fury card shows all on which means its drawing power from all power pins. Using win10 these led’s are on and off depending on needs never all on. Any fix for this great video card or am I doing damage to it using hacked mac os?? I am using the same motherboard and CPU as your last build (Gigabyte Z370 / i7 8700 CPU). I am having 2 problems. 2) The computer recognizes the USB, but will not boot from the USB. After choosing the language and formatting the SSD, when I select to start the installation by clicking the continue button, the system hangs, it does not move forward … What can it be? I’ve tried several installers, is the image corrupted? I downloaded it 2 times. BEWARE!!! This EFI contain a rootkit! what do you mean? And what is your proof? 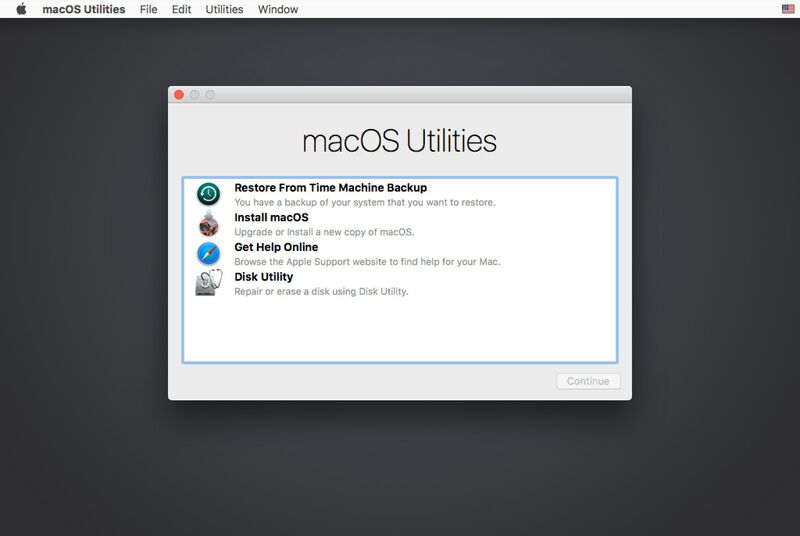 I followed this guide and get my mac running fine on 10.13 But there are some problem with booting up my mac. Some time my PC crash on loading screen with progress bar halfway through. Some time it goes to loading screen without any problem (about 20 percent of time). Sleep/wake is okay. Any suggestion ? I’m using NVME and RX560 with kabylake fix ig-platform-id , installed EmuVariableUefi-64.efi, rad4200 . Any suggestions? Okay, I figured out that everytime I booted onto my Mac OS 10.12.5 (I setup a dual boot system on 10.12.5 and 10.13 on 2 seperated SSD ) then restart, the computer then boot into Mac OS 10.13 just fine and works great. But if I try to boot into 10.13 from a fresh start, the computer just crash on booting screen. Weird. I’m running 10.13 on a NVMe drive and my GPU is RX560. Any suggestion? This is my first time building a mackintosh, so I’m not sure where I am going wrong. Having a problem with a coffe lake build following the hackintosher guide with 8700k and gigabyte aorus gaming 7. Followed all steps up till the reboot after disabling apfs. I’ve tried the install multiple times, deleted emufivariable in clover efi. No luck. I’m following the hackintosher build with the exact procedure, board, and processor. What am I doing wrong? I’ll try running the installer again to see if I can reproduce your error. I am replying on the 8700k guide as well. I don’t know if you want to just keep everything on that thread for simplicity’s sake. Thank you for your answer, I will have to try the above. Should I use the install usb to clear nvram from within the installer? Also, I am using nvidia graphics. This guide and this website are fantastic! The guides are clearly written with sufficient detail to be useful to t he inexperienced hackintosher. Used this one and others that it linked to successfully build a Hack with an ASRock B250-HDV board and a Pentium G4560. By the way, even though ASRock’s website states that this motherboard uses the ALC887 Audio codex which would be 7 in the Clover Device configuration, 11 is what really works for the onboard speaker jack. I am stuck at the initial stages of clover bootloader: When first powering up a GAgabyte GA-Z270X Ultra Gaming mainboard, the USB clover bootloader stalls halfway through the first boot screen _(apple logo turns to a circle with a diagonal line running through it). I tried both with an nvidia 1060 card as well as with integrated grphics. The installer sees the M2 drive (Samsung 960 EVO), but never gets to the stage where I would be using drive manager to format it. Setting up the USB install media I downloaded the latest High Sierra and used the latest version of clover configurator to mount the EFI, then copied the pre-packaged EFI folder into that partition, but no luck so far. What am I doing wrong? Hi there! I’ve been attempting a High Sierra install using an Asrock Fatal1ty Z370 Gaming-ITX/ac board. I’ve had no problem configuring and saving the p-list and setting the proper bios settings from the builds section. However when I install using integrated graphics (or my GTX 1080) I never make it to Step 5, the Apple logo turns into a ‘null’ circle ( a black screen featuring a zero with a line through it). Do you have any suggestions/changes I can make to get to step 5? Thanks so much — this is a fantastic site! I have you mb. you resolve it? I just finished my new build with the same Asrock Fatal1ty Z370 Gaming-ITX/ac motherboard an 8700k and corsair mp500 m.2 NVME. I haven’t had any luck getting to the install screen either, i’m using clover and setup the usb with unibeast from tonymacx86, I watched it for like 20 minutes once get to nearly the end (using “without injected kexts” option) then there was a graphical glitch but I could see the spinning loader in the center which went on for another 5 minutes and I restarted to try something else, this was the closest so far I’ve only been trying for a few hours now, also can’t boot to safe mode or with verbose flag, the system reboots within 10 seconds and I can’t get the screen to stay up so I can see what is causing the reboot. I’m new to Hackintosh but an IT professional. Like Luigi, I wonder if you found the right settings to get it to boot to the installer? Thanks for any response! Why don’t you try using this entire guide instead of using unibeast? Are you using a dGPU or iGPU for the install? Before in El capitan 10.11.6 have same problem Freeze on apple logo no loading sometime freeze loading bar. need to press reset to get boot. sometime shutdown PC then again start freeze on boot. after that update to High Sierra 10.13.1 same issues continue. after boot on -v verbose mode sometime it will freeze in ++++++++++ or mac Framework. please kindly help to solve this problem. I am planning to install High Sierra on this configuration.Please guide me, is it ok or not? The configuration is fine, you should be good to go. What’s the reason to set darkwake=1 (on ASUS) and then disable Power Nap when you can set darkwake=0? already set to darkwake=1.. should i set it to =0….? ” power nap” it comes in config.plist i have searched but not found …. I love this site, its help me get my rig going. You are a lifesaver!!! Have you had any experience running the gb Alpine ridge thunderbolt 3 card in the 300 gigabyte mobo? Its working in windows but not working in latest High Sierra. I have lastest tb firmware on it. I try to install my first Hackintosh with your tutorial but not working for me… After booting external drive in clover menu, I got an apple with the progress bar but restart at 1/4. I try Verbose mode and see that restarting after @kec.corecrypto 1.0… Try different boot option in config.plist, try with IGP, not working. Can you help me ? My config is MSI Z270-A pro, i7 7700k, 16Go RAM, Asus GTX 670. I use the official download of high Sierra and it’s 10.13.2 that can be the problem? Thanks for your coment, please when you said, “generic”you means PS2? I need some help with this and I have very similar hardware than You, ASUS Z170A, i5 6600, samsung M.2 2X8 GB gSkill, video on board…. I’ve managed to install it on a ASUS ROG Strix Z270F Gaming with 7700K i7 and GTX 1080 Ti using a EVO 850 SSD from Samsung. Current build is stable, only thing not working (yet) is iMessage and FaceTime, but heard there are fixed for that. Question, I have an HP 6300 which has an Intel i5-3470 which is Ivy Bridge so I don’t know how to configure the config.plist as it only has instructions for Kaby Lake, Skylake and Haswell. What should I do in my case? 1) Can I use HFSPlus instead of VboxHfs, and if so, should I just delete the Vbox driver in my EFI folder, or what? 2) Is it still recommended to avoid APFS, as I saw Hackintosher mention at one point somewhere, or have people been having no issues with that these days? 3) I read where my ALC887 audio should begin injecting Audio ID 7, so I’m just wondering if anyone has had any experience with this board and if they had to use some number other than 7 or if they had any difficulties with onboard audio with this motherboard. 4) I also read where Hackintosher said that USB 3 wasn’t (at least early on) working with 13.2. I definitely want USB 3, so should I install 13.1 instead? I know that seems like a lot, but I PROMISE that once I get it all going, I’m going to do it all over from scratch and do a very nice and clear step-by-step “SUCCESS” video and make it available to this awesome, awesome sight. Once again, thanks in advance to Hackintosher and all, and super mega rockin happy freakin holidays!! Hey guys, what is the best method to install Windows 10 from a separate drive after successfully installing High Sierra? I’m trying to get Thunderbolt to work and need to install the drives via Windows first (unless there’s another solution). Thanks in advance! Hi, i’m trying to follow this guide but afters some tweaks, i got stuck in the apple logo with about 10% in loading progress. The most important tweak is that i was not passing the PCI configuration step, and after editing it in Clover Configurator to boot with npci=0x2000, i get stuck in the apple logo without any progress after about 10%. Any ideas? PS: Sorry for any english mistakes! You’re using an X299 build there is going to more steps involved than the ones here. I suggest looking elsewhere on the internet. I should have clarified that in this guide. I’ve haven’t installed macOS on an X299 motherboard yet so I wont be of much help. I will be making a donation this weekend. Using the EFI supplied by Hackintosher, my audio works! I followed all instructions closely and have tried this on 3 different drive. Any help? After using Unibeast, I used the High Sierra patcher to install the install media to the “Install macOS High Sierra” thumb drive. It is installing currently! Thanks you for this fantastic guide. I followed it, and also read all the guides one z270 motherboards available on this site. But I still have a pb with shut down; it shuts down like normal, and after few seconds the computer starts on its own. I changed the settings in Energy saver, applied the patches in clover, but no luck. Any ideas? Thanks for the amazing guide as I have gone through all the steps (except Nvidia Graphics Driver Installation part) but Mac is not able to boot itself. Please guide me what are the other changes I have to make to get MAC to be bootable itself. (I have already copied EFI folder in EFI partition on the drive). I apologize for my English ..
Well, I get to the Clover boot menu, row of plus signs, and then nothing; just hangs there, and I need to restart. Nice Guide! But I got a white circle with the line across after the installing. Excellent Guide, I used this guide for may latest hackintosh coffee lake i7 8700, the only problem I have now is Unknown Processor for Non-K version, Any idea? I solved the usb wifi driver problem for high sierra now all my 3 usb wifi no need to wait for panda wireless macOS 10.13 driver. Is is compatible for a Hackintosh. If so, is there any change that I have to make ? Yes it’s fully compatible with this guide. Hackintosher, would you be able to guide me in a Dell laptop installation? I’ve done almost everything correctly but when I boot the bootable high sierra thumbdrive from clover, it doesn’t see any mac partition table, only NTFS and Fat HDDs. even the mac os IX install doesn’t show. I’ve tried to put HFSplus.efi in the EFI/CLOVER/Driver64efi but still didnt work. Tried to use an alternative EFI but still dont work. Any other solution? Finally I’ve finished my hackintosh, however I noticed 2 issues. For the first usb thumbdrives don’t show on desktop when plugged in, and secondly, when I do some research on Spotlight, the files are showing but I’cannot mount any dmg files when on Spotlight, I have to manually open them directly from the folder where they are. It’s up now thank you! Hi! I’ve been trying for a couple of hours to download “Hackintosher.com’s High Sierra EFI” but it keeps timing out. Hi, Sorry the website just went through an ip change it’s up now. I don’t have access to a Mac rn, can I configure the config.plist file using notepad++ ? Working great so far! Thanks so much! Also, the installed Clover is version 4297 but the current version is 4369. Would you advise to update Clover? Beautiful set up. Think I’ll grab the same Mobo for my tiny build. I have an All In One Lenovo PC, and a don’t know what to change from Step 3 (for info, my PC is Lenovo AiO 700-24ish, with Core i5 6400, and Lenovo Skybay h110 motherboard – that says CPU-Z for me). Only this, I think I can do all the rest. You can skip it then if none apply to you. I followed your instruction for a fresh install on my Pentium G630 and GPU MSI Geforce 9500 GS Hackintosh but experienced a lot of problems. You mention the need of a Nvidia card, do you mean a Radeon will not work? If I do not check “nv_disable=1” it will either reboot or show a flickering screen after logon. Hi — I have an Asus Gene VIII, I5-7600K, 32GB Corsair RAM, and Nvidia GEForce GTX 1050, running 10.12.6. I had tried the Hackintosher update guide and tried several times to do the update. I gave that up and tried this fresh install guide. It worked great — I know because I redid it a couple of times trying to fix a macOS problem with user accounts that a lot of native/vanilla Apple owners have had. Basically, any user account I set up was recorded as Standard. I added another Admin account but it was hidden. I tried fixes others have used but couldn’t succeed. Because I didn’t have a working admin account, I couldn’t setup a root password. macOS wouldn’t accept the password for my user account, so I couldn’t install the Nvidia web drivers. So, unless someone knows a Hackintosh way to fix this macOS problem, I’m going to write off 10.3.3 as not worth the trouble for now. 10.12.6 works great for me. Using the Clover boot option for Single User, I was able to do as the post says and redo my macOS setup of user account etc., creating a new Admin user and then using it to edit my operating user account to give it admin powers. Then I could install the Nvidia web drivers and all was well. So now I’ll go on with testing 10.13.3. I have reverted the Nvidia web driver to the 106.pkg, and this has got rid of a the shining beachballs and lags that were happening with the 156.pkg driver. But I had really very slow performance in Google G Suit, typing a welcome message in drive. It too seconds for three word’s worth of keystrokes to appear on the display. And an EtreCheck.app system report said performance was “Below average”. Any suggestions about where to look? I’m still using the Hackintosher High Sierra EFI. OK, disregard my previous post about slow performance. Whatever it was, after a reboot the performance is excellent. Thank you so much hackintosh! You are missing FixShutdown in config.plist under Acpi which is required for Gigabyte shutdown to work properly. If it continues to restart you may need to have FixShutdown and ErP enabled at the same time. I can restart with the key … I’m looking for my side. All is OK: Fixshutdow enabled and Erp disabled. The pc turns off and does not turn back on. Nice to here, so why wasn’t it working before? There is no EFI to boot for the USB that I just made 🙁 https://imgur.com/a/ATyzx Please help! Did you not format the flash drive as GUID? I’ve working with my Hackintosh for about 3 months now. I did the initial creation with 10.12.6 since that was the most stable. Some of my USB ports weren’t operational so I wanted to try to upgrade. I grabbed another SSD ($40 for a 240GB) and did a fresh install of 10.13.3. I followed this guide. It worked well except that it took me a while to figure out that my install USB drive would only work with a 2.0 thumb drive. (I didn’t see that info in the guide). One of the few wrinkles I’ve found is that my bluetooth speaker needs to be re-installed everyday. Also, I’ve strangely had no problem with the nVidia drivers (…..156). Going to run it for a few week or so and see how stable it is. Indications are good. Thanks to everyone who’s help create and perfect this guide!! Asus Gene VIII, i5-7600K, GTX 1050 video card. I have one issue: after overnight sleep, on wake the user login shows but the mouse and keyboard are not working. I have to do a forced reboot. Hi can anyone help me? I have a some dumb question. The monitor on the top image of the post its looking so great what model is it? how i have to change the config.plist? Or i can use the provided haswell configuration? hello, ive tried everything, i swear, but i keep getting stuck at apple screen just when i enter clover and select install, ive tried severals EFIs folders and config, redo everything and differents guides. im using an i7 8700k with asus rog strix z370-e mobo, can someone help me out? hello, ive tried that with no luck, the one with my same mobo cant pass that apple logo screen neither, ive tried all efis (from asus mobos) from people who just say they could successfully install it, ive tried all the bios config, redownload files, os and redo everything but it just wont pass that screen. its frustrating. Do you see a loading bar under the apple logo? You are booting from the Clover menu and not directly loading the Apple installer correct? I have used this guide and have had great results using intel HD 530. When I disabled HD 530 and enabled XFX AMD R9 Fury PCIe everything worked but the card lost its acceleration. All activity leds on card were lit. So I updated to the Beta mac OS by registering with apple and downloading the utility that gave me access to the Beta. After the Beta install the AMD R9 worked perfectly full acceleration leds for activity were going on and off PC was very responsive Cinebench 115fps almost as fast as Windows 10 134 fps. The major problem is using Safari or Firefox the browser locks up after some browsing and I have to use power button to restart PC. Internet videos locks up PC instantly. Any fix for this? The new Beta AMD drivers are a great improvement but not being able to use the internet is a fatal flaw for me. Any help would be appreciated. Nice work. I use your EFI and get my system works perfectly without doing any other steps. Thanks, that’s a great guide and it worked perfectly. My pc is an Intel Core i7-3770K cpu, AsRock z77 Professional-M motherboard and my graphic card is Gigabyte HD7950 3GB DDR5. I purchase that pc on 2015. Ok, I had success installing High Sierra with the graphic card unplugged. When I plug the dedicated GPU a get a black screen with this message: gIOScreenLockState 3, hs 0, bs 0, now 0, sm 0x0. I have the latest Clover, and all the latest kexts on my system. I downloaded EmuVariableUefi-64.efi for NVRAM detection. I downloaded the latest release version of Lili.kext and WhateverGreen.kext and place them in EFI/CLOVER/kexts/Other. In config.plist in System Parameters Inject kexts is set on Yes, In Boot in custom flags i added the line shikigva=4 and -rad4200. But when I plug the graphic card doesn’t work. I don’t know how to continue, I am stucked. Any help will be appreciated. Thanks. Wow, this is truly amazing, fixed all my problems in one guide. THANK YOU!! After massive googling I decide to format my USB Boot Stick and make a new. But unfortunately now I can’t even choose “Install Mac OS” in the Clover Boot-Screen. I tried different Options for config.plist. I’m glad for every help! No this is a tutorial for setting up a whole Drive to Mac OS. When you would go dual boot i think its better to use 2 seperate drives for each system. mac os is little tricky to install and easy to screw up. Do you have any recommendations for SuperMicro Z370 boards? The boot screen shows after clover, and the loading bar seems fine, then after it runs over three-quarters it starts to MOSEY. What is the problem, and what shall I do? Thank you for this guide! It’s the first time I managed to setup a working Hackintosh. I have a question regarding the Mouse settings in your Clover files. The mouse on my Hackintosh feels perfect, almost like Windows. On all my Macs the Mouse lag and the horrible acceleration drove me crazy. Did you include some kext for this or some other config changes? I would love to have the same mouse feeling on my other Macs. I am able to get to the Clover Boot Menu, however, I don’t see any option to install High Sierra from the USB. Any idea where the problem might be? If I use UniBeast instead, it works without problems. Best article/guide on H.Sierra – followed it perfectly and worked the first time. That is a rare thing in the world of Hackintosh, especially with the latest builds of OSX. Awesome job. Outshined tonymacx86 on this one. Concise and thorough with a one-stop place for the instructions and above all, the configuration files that actually work without reading a ream of posts of other trials and errors. Keep it up!! This is my new Hackintosh bookmark. BTW – just added your HWmonitor, and your working files – again worked the first time. Although the “bate & switch” link to the HWmonitor files should be changed with a true SourceForge link. (not cool). is this guide applicable to laptops also? and very nice understandable and proffesional tutorials. Thanks so much for all the time and effort you must have put in and the time that i have saved by not having to trawl through pages of tmx86 S/L/E half hearted attemps by people trying to be clever …. hi there! how did you use your LG OLED display with it? im using a LG C7 and Sapphire rx580 Pulse 8gb, the input lag is poor, not terrible but its not as smooth as on my macbook pro’s. The problem is that the refresh rate setting doesnt pop up on my hackintosh like it does on the macbooks. I’m using 10.13.4, and a gigabyte Aorus gaming 7. On the Windows side of the machine everything works flawless. 1st of all THANK YOU for such a clear and easy to follow guide. I am only sorry that I followed some other not so clear guides elsewhere until I came across your site. – with a few minor glitches…. I have not been able to isolate why my Computer won’t shut down. Granted I am housing Win 10 in same rig on a separate HD but I don’t believe that would be the issue. I followed this guide as well as guide to update to 10.13.4 and installation of Nvidia graphics and used used the latest clover file for 10.13.4, I have triple checked my config and BIOS settings to ensure everything matches but, being a novice I think its time I ask the more experienced crowd. Turns out it was one of my peripherals connected on USB port that were causing the shut down problems. Git my iMessage and Face time sorted out today too. So I guess what I have here now is a full blown working HackMac. Trying to get this to run. Any help would be appreciated. Can I use this guide to fresh install 10.13.4? Or is it recommended to do this first and then follow the 10.13.4 update guide? This guide has the necessary changes for 10.13.4 so you can use it without the update guide. awesome thank you for the quick response! btw I’m gonna use my integrated GPU for now but debating when I go dedicated if I should go AMD or NVIDIA..
is it correct that with 10.13.4 most AMD cards are plug and play already? or does that only apply if you are using them as external GPU? An eGPU doesn’t matter. It’s true that my RX 560 works without either RadeonDeInit or WhateverGreen.kext in 10.13.4 you’ll have a smoother experience with AMD, but the Web Drivers were also improved with 10.13.4, which persuaded some people to get their Nvidia card. So I just finished my build using this guide (10.13.4) plus referencing your GA-Z270MX tutorial..as I have almost the same config (Nvidia 1070 for GPU). Everything works well ..ethernet, audio, sleep etc..except when I use the rear USB-C and USB3.1 port. Anytime I plug something in there, I cannot shutdown. It just reboots. Also, when doing Sleep with those ports, it will go to sleep except when I wake it up, I get the ‘Disk Not Eject Properly’ error. Again, this only happens with those two ports (Type-C/3.1). I’ve tried the various workarounds (FixShutdown, ErP etc) but no luck. Are there separate kexts for these newer USB inputs? I could just skip using these ports but I have Type-C/3.1 devices. Any ideas? Thanks again for doing these guides! Made my build easy to setup. IF you have the same config, this tutorial will help you too! Be Patient and Follow step by step! I can get to Clover but it wont boot to the installer. A screenshot would be awesome but it just restarts. apparently USB (both 2.0 and 3.0) being unstable is a known problem for these later versions of OS X (https://www.tonymacx86.com/threads/guide-creating-a-custom-ssdt-for-usbinjectall-kext.211311/). Were you aware of this? the thread i linked to was way over my head so I was hoping you’d have a simpler solution. I myself am now facing serious issues with the USB just cutting off randomly at different times, mostly after sleep or upon a restart. I have to turn off the computer, manually unplug and replug the usb, and then start the computer to have my keyboard working again (just a restart without unplug/replug won’t do). Any tips or pointers? Is this actually a known problem? How safe is this? I want to use MacOS but I still want to be able to use Windows. And changing so many BIOS settings sure does effect the OS. in the UEFI I set everything that you set. plist is changed to Skylake. Could you give me some instructions what can I do now? i’m building a hackintosh with GA-X58-UD3R Mobo, it’s a legacy BIOS. i wonder you could please teach me how to do it in legacy mode? i once managed installing olarila image High Sierra, but i’m stuck in how to install windows at the same drive. i plan to dual boot OS high sierra and windows 10. Having BIOS f22d on Gigabyte Z170x-ud5 hd and wonder, what the difference between the “Virtualization” and “VT-d” is, since the first does not have a equally-named menu entry. I read up and found out how to (de)activate “Virtualization” on F20, but it seems there is again a difference in menu layout on f22d… What do I have to do? Thank you! Leave Virtualization enabled, for Vt-d in my experience it makes no difference whether it’s enabled or disabled as it’s useless in macOS. i can’t paste EFI folder to EFI mount partition, i use macbook pro. The link on Hackintosher.com’s High Sierra EFI is for OSX 10.13.4. Can I use it for OSX 10.13.5 as well? since I downloaded the 10.13.5 from the appstore. I followed your Direction But i had no Network not even using Ethernet cable. I tried adding: IntelMausiEthernet.kext with no luck. Any suggestions ? What motherboard are you using. I recently bought a Gigabyte Z370N Wifi + i3-8100 for my Hackintosh. All is working perfectly besides my DisplayPort. I have 1 câble HDMI in my 2.0 HDMI working great port but my second screen don’t work with my DisplayPort. I have try several things, like connect only the DisplayPort or connect the DisplayPort after the boot but nothing. I’m in 18,1 and don’t have any other GPU. Could you help me resolve that please ? I use Gigabyte GA-Z270X Gaming K7, i7 7700k, GTX 1050 Gaming X 2G from MSI, 32gb Ram and a traditional HDD to install High Sierra. Now read this guide and thought of trying fresh as per your instructions. But I don’t see any kexts in relation to make Graphics card, usb 3.1 and ethernet work. Am I missing something? I need help. I have Netgear WNA1100 wifi adaptor which doesn’t have Mac drivers and not supported to Mac. Is there any way to install it to get internet access? Or, as I have MacBook Pro connected to wifi, is it possible to shared its wifi internet to my hackintosh via ethernet cable? I set internet sharing in my MacBook but my hackintosh doesn’t connect to internet. However, it is connecting to the matchbook pro’s shared folders. How to test USB 3.1 gen 2 speed/reliability? I changed that step because I removed those files, simply change your SMBIOS to iMac 14,2 if using a Haswell CPU. while installing my pc reboots and i get back to the clover menu, any help? Would someone have a solution please? I’d simply redo the installer. Just recreate it and see what happens u less you already got it. Stuck on apple logo any thoughts ? has anyone had luck with onboard bluetooth/wifi? Im using an Asrock Fatal1ty z170 itx/ac mobo, i5-6600k, gtx1060. TYIA! Greetings from Washington state. I am a long time Windows (I know, I know) user and I have long considered changing my main PC over to Mac. So I am here to ask a couple questions I am hoping to get answers for and depending on these answers I may switch the OS. 1. Does MAC support soundblaster now? 2. Ethernet is Realtek RTL8168D/8111D, is this supported? 3. Will my Adaptec RAID controller be supported for storage? As boot? 4. Is my graphics supported? Looking forward to any info. Thanks in advance. “Your computer restarted because of a problem Please press any key or wait a few second to continue starting up”. Then I wait a few second then it back to the screen with apple logo and a progress bar. Than the it restart again and again. The process is endless loop. Can you tell me the solution? Same here Peter. I’m SOOOO CLOSE but having a few issues after booting getting into the installer. It gets halfway or more then reboots and I have my clover screen options. I’m on a gigabyte board with I tell her graphics and/or Intel and have tried both and same scenario. I feel I’m missing something super simple. Can anyone chime in? I’ve check my bios settings and they’re spot on and using a dedicated SSD drive formatted hfs+ journaled guide etc. I’m a Mac guy so not sure what I can possibly be missing ugh lol. This was by far the easiest time I’ve ever had building a hackintosh – your tutorials are so much more helpful than anything at tonymacx86. THANK YOU! Great job with these! Another question, The EFI from the guide contains xhci injectors for x-99 and 200 series motherrboards. Should I remove these prior to my install or after? You can use the latest EFI, You can remove the x-99 and 200 series kexts prior to install. Het thanks for the reply…i managed tu update to 10.13.5 yet no luck with hmdi sound…Also which sytem definition would you recommend…18.1 right now yet 18.3 or Imac pro 1.1? The Document “config.plist” is on a volume that doesn’t support permanent version storage… MY PC Spec is Intel i7-4600M CPU. Thank you for the perfect and clear instructions. Can you please guide me on how to setup dual display on Hackintosh. I have 8700k with RX 580 and the second display is not getting recognized. My Clover folder has WhateverGreen and Lilu kexts. I followed this guide to install High Sierra on my laptop. Its Intel 5th Gen (Broadwell) 5500U with Intel HD 5500 iGPU and Geforce 840M as dedicated graphic card. I could not get High Sierra to work. Broadwell SMBios settings are not mentioned here but I found through the Clover configurator and set my system configuration to 16,1. The problem is that when Apple logo appears and it loads the system for installation at about 75% I get error as “IOGraphics Flags 0x45 (0x51)” and system reboots immediately. I have not found any solution to this issue, have searched and tried different config.plists and kexts but nothing gets me past the boot screen. It always reboots at the exact same point giving same info in verbose mode. Can anyone please help me out in installation process? What could I be doing wrong? Hi, is this guide also valid for fresh install of high sierra 10.13.6 directly skipping the previous iterations? I installed Mojave yesterday using your guide by downloading Mojave straight from the appstore thinking its the final release, but its not apparently. I am exploring the possibilities of dual booting my Windows 10 rig. I have an Asus K30AD board with an i5 4440s 2.8 , 4 core processor, Intel 4600 graphics. I already have Win 10 installed and I have installed an ssd drive as a second drive, which I would like to run the MacOS on as a dual boot. I have seen many configurations but, most seem to want the Mac system installed first. I have a lot of software on my Win10 and really don’t want to reinstall it all. Does anyone know of a way, or a link to a page that actually installs MacOS on a second drive without making changes to the Win drive? I appreciate any input. Thanks lots. I am doing all the guide but my PC reboot after apple logo when i am installing. did you find any solution?? Hello, thanks for the guide. I have an MSI h110M gaming motherboard. Sooo… I had to fallow Step 3.3. I downloaded the link for the OsxAptioFix2, replaced it in the proper folder. However instead of OsxAptioFix3Drv.efi in the folder, I had The original AptioMemoryFix.efi, so I deleted that one instead. Just wanted to understand if that was ok for me to do. Also, my boot drive doesn’t show up in the boot options which has never happened with this drive before. I have gotten My hackintosh build with UniBeast and Multibeast without much problem but wanted a cleaner install… So here I am. – After use this patch, the possibility off use in the future an USB or Bluetooth key board exist without process? -May I only install the keyboard part [VoodooPS2Keyboard] or have to be OS-X-Voodoo-PS2-Controller/ complete? Thanks in advanced for your support about this and for all what I did. I would love to be able to upload my EFI folder to help others. Maybe I can do that on a different Site..
Hi, Is possible use a PS2 keyboard with High Sierra 10.13.6? For use in laptops and others Rebhabman web recommend install the voodoops2 controller… and for that, before we have to delete some kexts, I’m afraid about loose some off the post install things what i did for audio etc. Thank you for posting so detailed and efficient manual to help us install MacOS on PC. I googled a lot and only yours can help me to boot my PC and follow rest steps in your post. However I met a trouble that I have no clue to solve, that when coping files to SSD the computer go to black screen (not sleep) and reboot immediately, and then install High Sierra from SSD failed. I downloaded EFI and MSI patch from your post, changed config.plist exactly followed by instructions in post. BIOS settings changed by following your post. Insert the bootable flash disk to USB2.0 port, it can boot to Clover, installation interface without any issues. Then to erase SSD exactly as what you posted, and install. Then problem come up, the black screen came up and installation process interrupted and computer reboot by unknown reason after about 1 min when “It will take 2 mins” appeared on the copy process interface. I have no idea what the installation was doing when copy process interrupted, and have no clue how to troubleshoot. I tried 2 different flash disks, and different USB 2.0 ports, and SMBIOS 14,2 & 17,1, same problem. One week gone, I still stuck on this issue. Would you please give me some clue how to troubleshoot this problem? Would many appreciate. Well, I did more research. Then I tried to format Samsung SSD to APFS and reinstalled again, failed again. An issue with NVRAM is common with MSI motherboards, can you give me a list of the .efi files in /EFI/CLOVER/drivers64UEFI ? Here are three options, only do 1 at a time so three boots 3 attempts with 3 different methods. 1. If you have “AptioMemoryFix.efi add “slide=128” to your clover boot arguments. With 10.13.6 on initial install after booting from the stick, the install doesn’t finish but reboots in the middle. From Clover menu I can then only choose to boot into the installer from the stick again. Nevermind, it worked. Thank you so much for the guide! Best guide for installing High Sierra. Thanks a lot!